Casey and I love to visit new places. 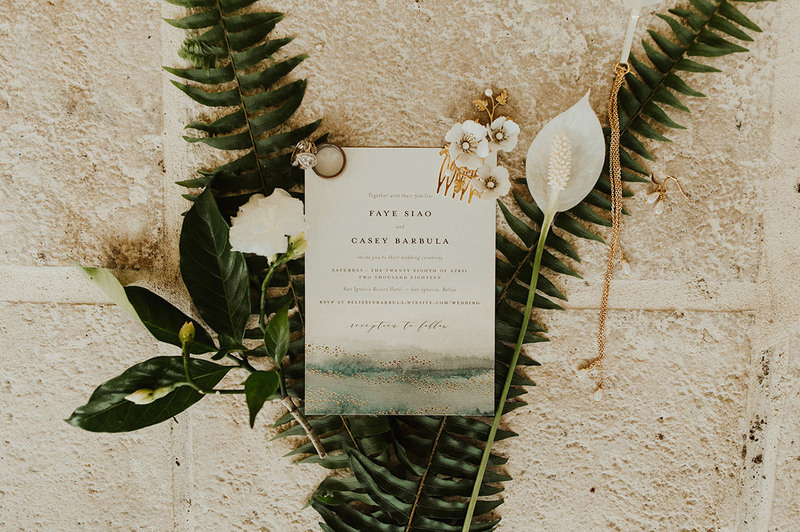 We wanted to create a fun, exciting experience for our friends + family and since the wedding was so intimate, we didn’t want to make it just about the two of us. Many of our guests were scattered all over the US, so we wanted to bring those people together. They came only knowing us and now they know 30 other people! Kylie Morgan had no trouble traveling to document the adventure! 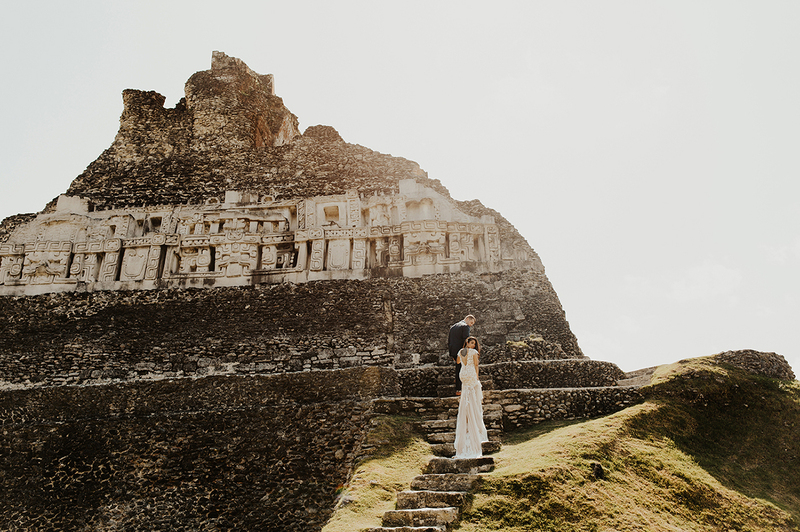 Let’s join the party in Belize! 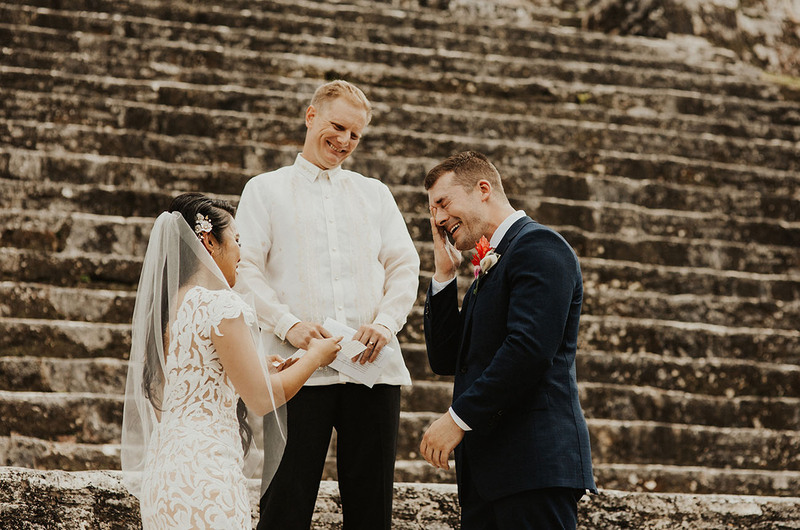 The memorable moment of the wedding was probably the first look. We were both super anxious, nervous, excited and emotional leading up to it. 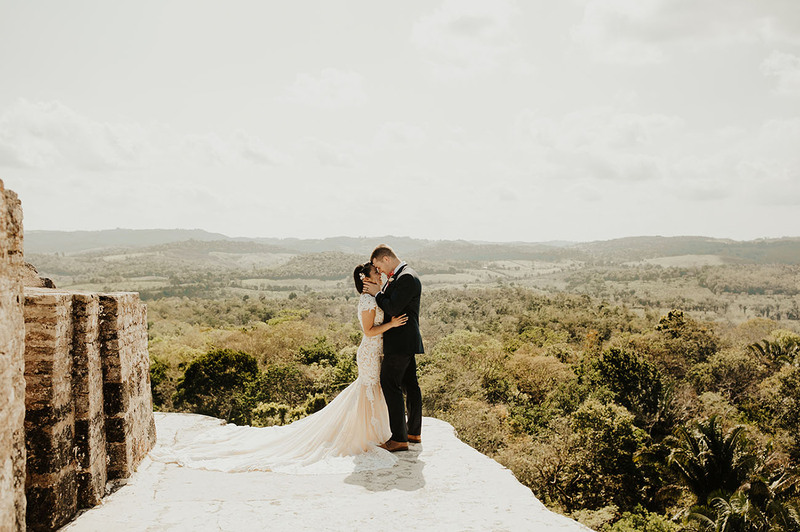 Even though we were happy to have our friends and family witness the moment from the balconies above...that first look moment was OURS in a secluded garden below. It was just a beautiful moment in time where everything was perfect. 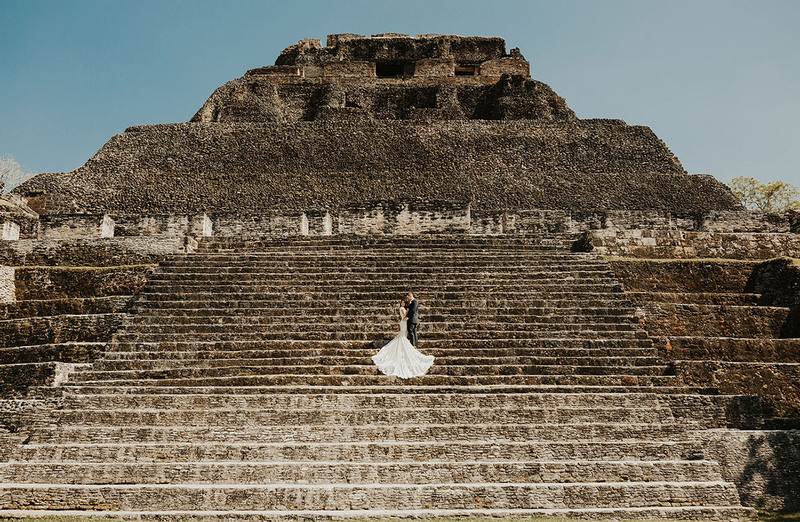 Faye wore an epic dress to match the location! 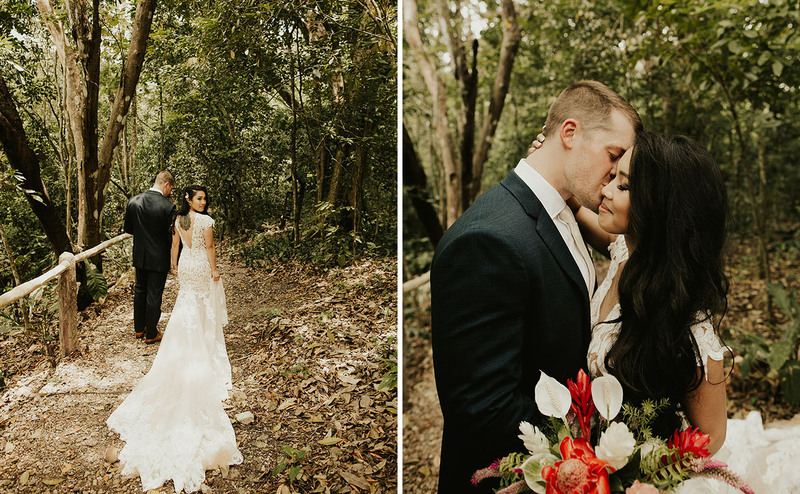 The dreamy lace gown by Calla Blanche is from Destiny’s Bride in Scottsdale, AZ. So many perfect photo ops!! Don't stress! 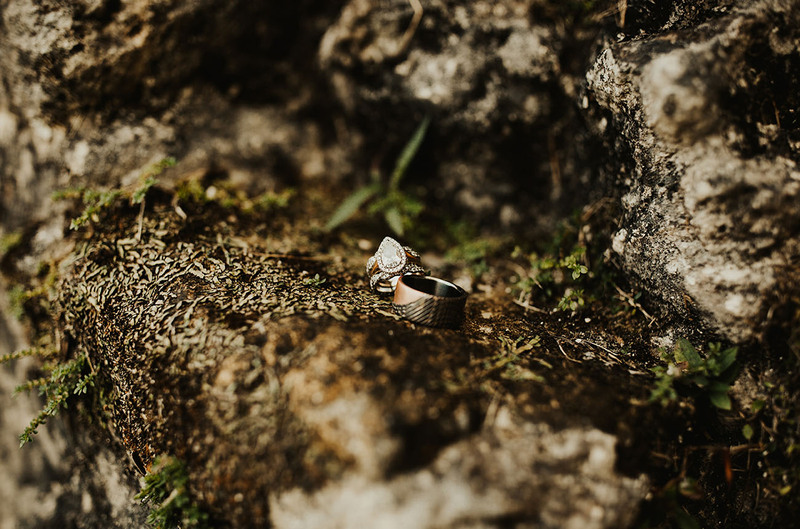 Even though details are important, couples shouldn’t forget that the day is about the love you have for another, not about if something didn’t go exactly as planned. 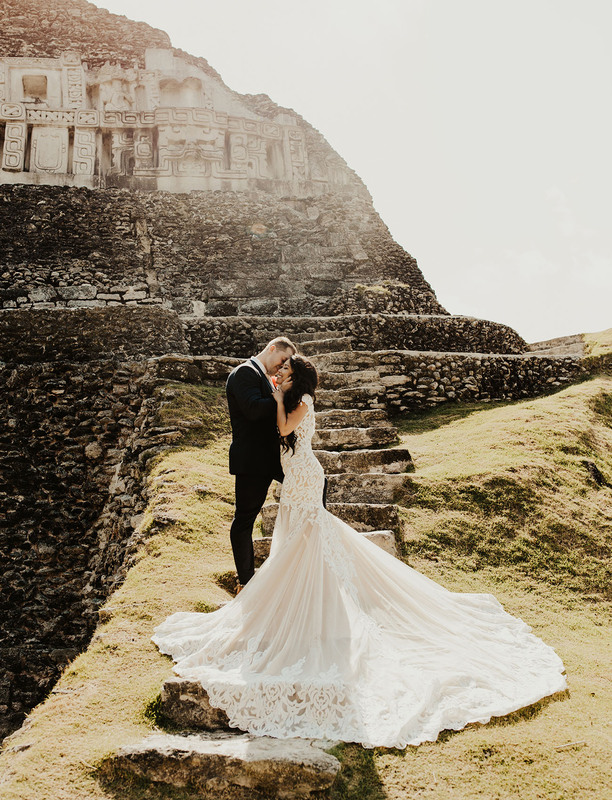 Also, when planning a destination that you’ve never been to, having a wedding coordinator saves so much stress. 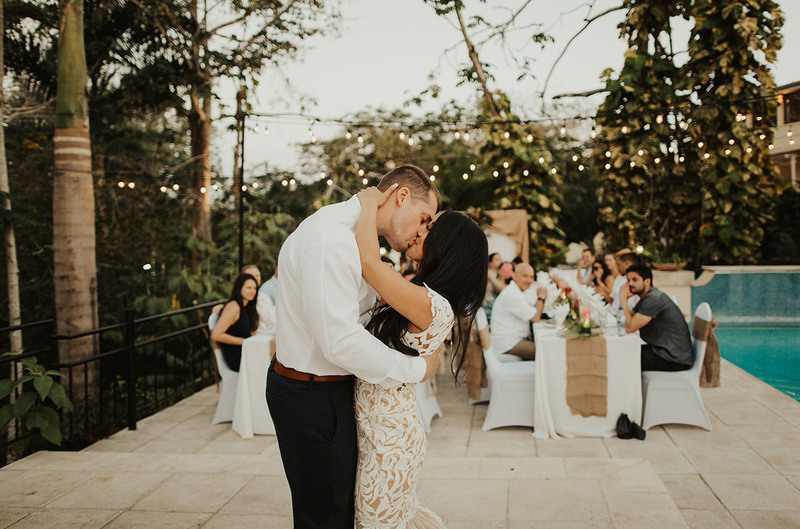 San Ignacio resort hotel provides one for you when you book a wedding with them. Michelle was my life saver. She was my go to for every question, every detail, everything! It made planning fun, easy and stress free. 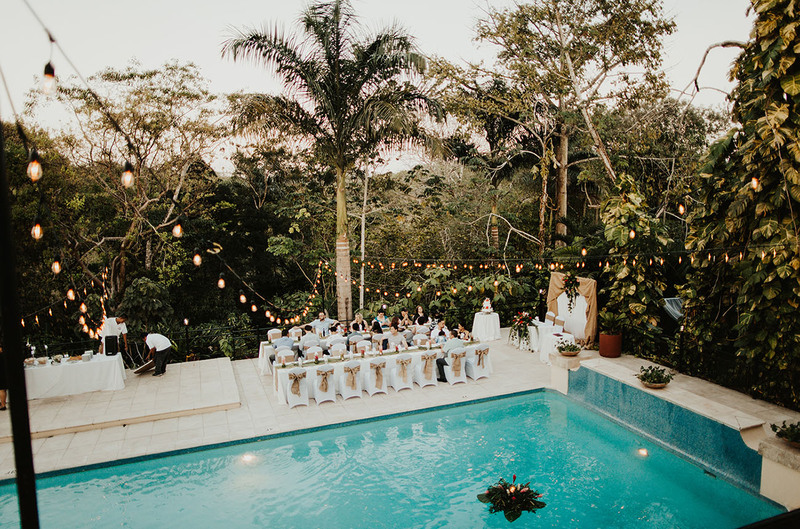 F + C stayed with their guests at the San Ignacio Resort, where they spent the rest of the wedding day celebrating by the pool. Absolute perfection. 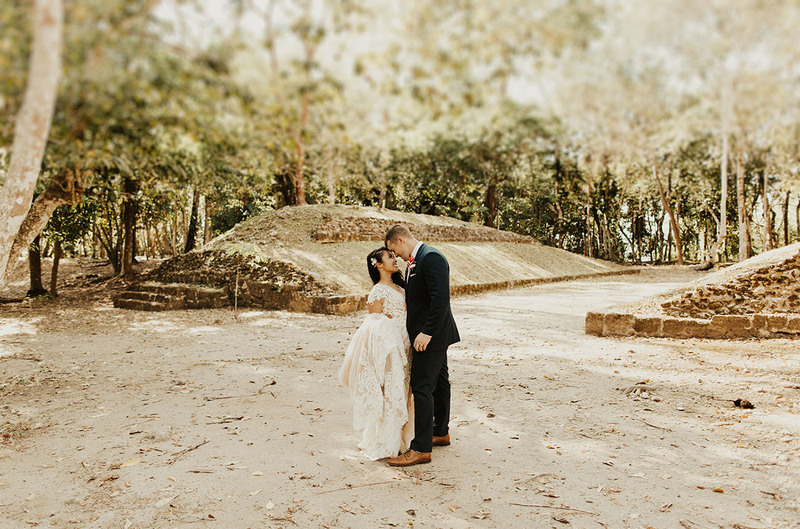 The days following their wedding were spent exploring more ruins, trekking through massive caves, swimming, and hiking through the jungle. 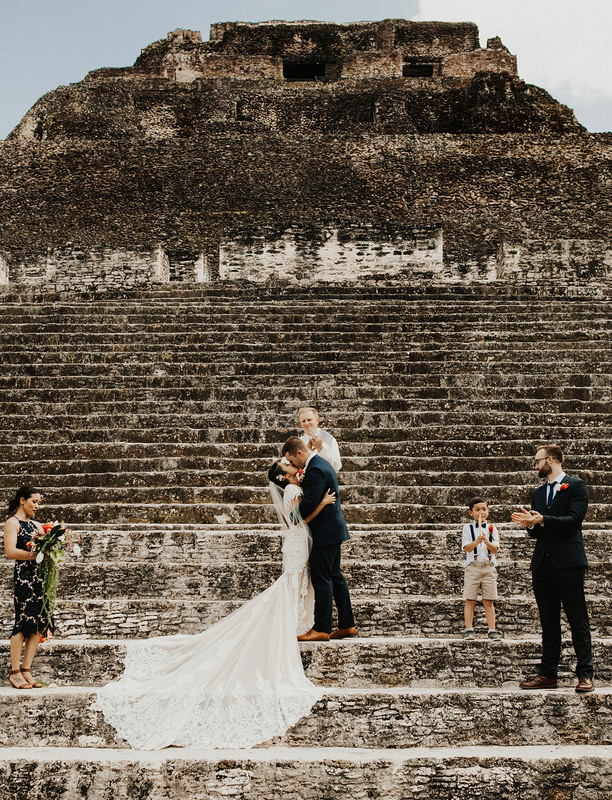 From one adventure to the next, we’re so happy for these two! 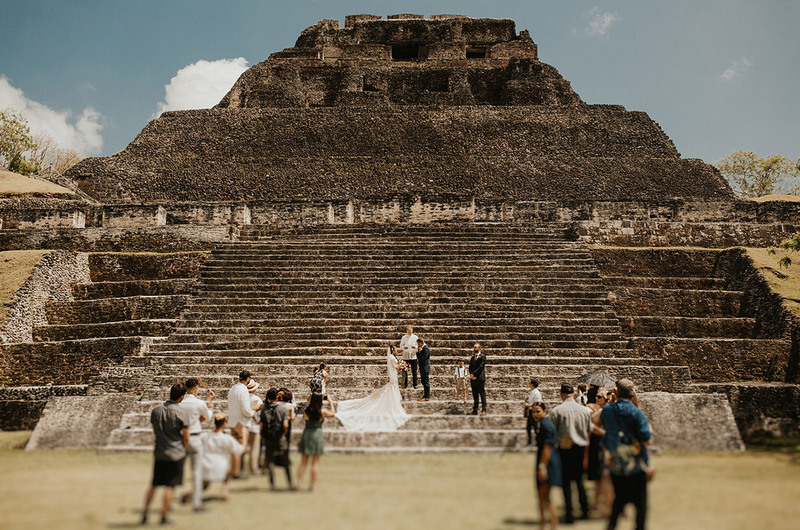 OMG what an amazing location for a wedding ! Wow!.. That dress is beautiful!! And the venue is amazing!